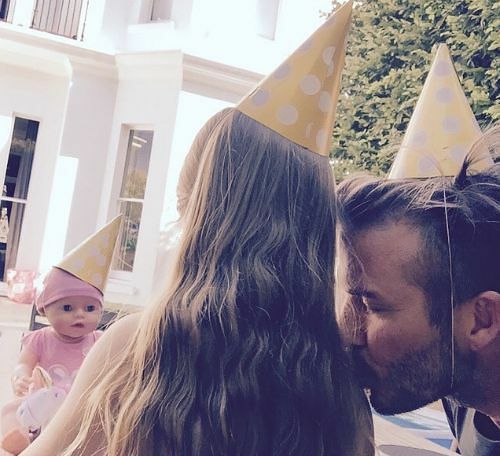 Birthdays are super special, and celebs LOVE celebrating their big day as much as we do! Some choose to party till the break of dawn, while others like to celebrate in the company of near and dear ones. It’s not how they party, but how creatively they bring it on! 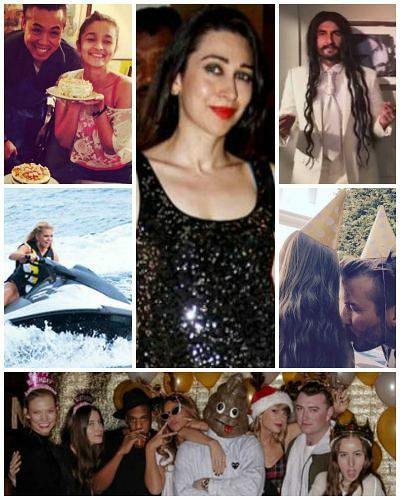 We give you the cutest ways celebs have celebrated their birthdays. Trust us, this will make you love these superstars even more! Image Source: instagram.com Alia Bhatt is the undoubtedly the “cutiepie” of Bollywood. 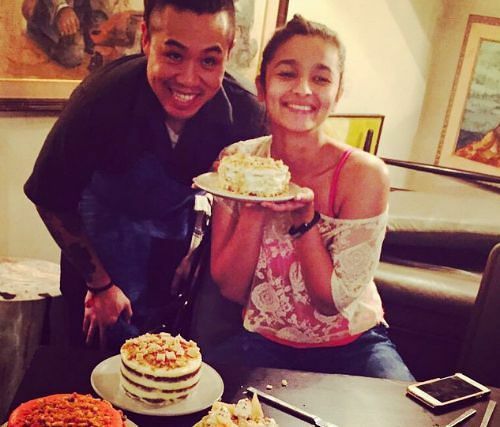 Interestingly, for her 22nd birthday, the actress visited a local eatery in Mumbai. The chef of that restaurant, Kelvin Cheung, gave her a splendid surprise - he baked her an adorable little cake! The best part - she cut 6 of those cakes! 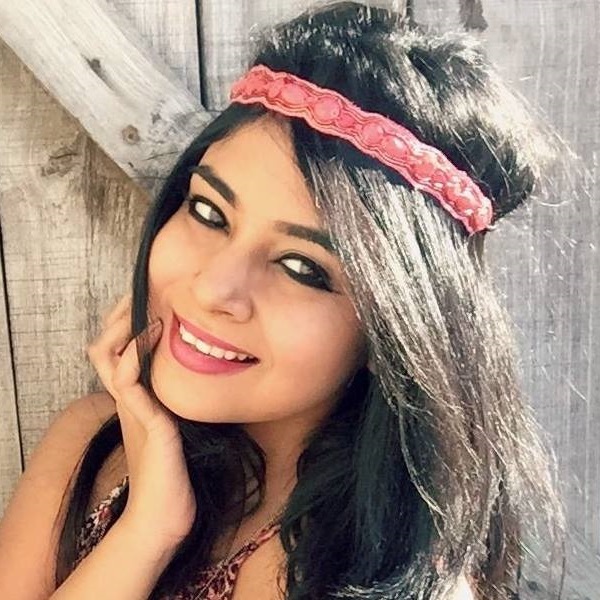 The Highway actress then took to Twitter and posted a picture saying, “Best birthday ever. I think Ellipsis is going to be an annual thing now. Thank you @chefkelvincheung I am officially a fan ;) #bestfood #soomanycakes #lovetoeat #wohooooooooo.“ If that’s not adorable, we don’t know what is! Image Source: instagram.com Who doesn’t love Ranveer Singh? We mean, look at him! His energy, wit, humour and style are a few things we ADORE about the actor. In just a few years, the actor has made his name in Bollywood. He has also managed to bond with a few celebs like Shaad Ali, Arjun Kapoor, Hrithik Roshan and not to forget, Deepika Padukone. Speaking of bonds, Hrithik and him are known to share a special one, especially on Twitter. Remember Hrithik’s Bang Bang dare to Ranveer (and how Ranveer nailed it)? Well, Hrithik did the same thing for his birthday. He not only wished the actor, but also jokingly asked him to enact Taher Shah’s “Eye To Eye” music video. Knowing Ranveer, he did his version of it and sent it to Hrithik, like a boss! And boy was the video hilarious! Ranveer truly is a bag full of surprises. 4. Jessica Simpson went jet-skiing for her 35th birthday! Image Source: usmagazine How do you know you’re a celebrity? If your birthday celebrations last two weeks, let go of all doubts! For her 35th birthday, Jessica Simpson flew her folks and close pals by a private jet to an exotic island, and spent two awesome weeks by renting out a cruise ship, going snorkeling and playing around on jet skis. To everyone’s surprise, the birthday girl showed off her jet-skiing moves with absolute confidence! Reportedly, Jessica and her friends lived it up to the fullest by partying all night and lazing around all day. Atta girl, Jessica! You REALLY know how to party like a rockstar! Image Source: saharasamay When it comes to choosing between work and family, Kareena Kapoor sure knows her priorities! For Karishma’s 40th birthday, Bebo took the day off from shooting for Singham Returns, which was being shot in Hyderabad, and took a flight to Mumbai a day before her big sister’s big day. How very thoughtful of Bebo! And Karishma Kapoor couldn’t have had a better night. She was in the company of her folks, her best friends, and of course, her loving sister, Kareena. What more could she possibly ask for? 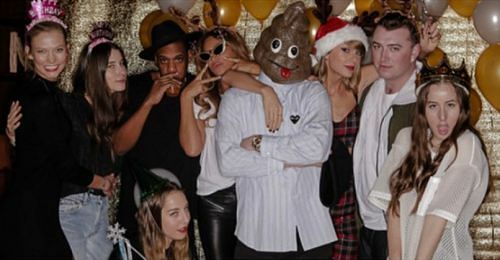 Image Source: instagram.com We think Taylor Swift threw the biggest, and cutest, party New York has ever seen! Mind it - only A-list celebrities were invited! Stars like Beyonce, Justin Timberlake, Jay Z, Selena Gomez, Nick Jonas, Karlie Kloss and Sam Smith were all spotted at her Tribeca apartment. Her crib was flooded with golden and white balloons, creative props, and of course, pretty drinks! Don’t you wish you were there too? MUST-READ: #InstaFUN: 15 Indian Celebs Who Are KILLING It On Instagram MUST-READ: 11 Times Celebs Showed Us How NOT To Take Life Too Seriously!